Building an Identity: Tips and Tricks to Create and Strengthen your District's Brand What comes to mind when your students, parents, teachers and community think about your school district? Is it positive? Does your district have a brand identity? Or, is your district experiencing an identity crisis? 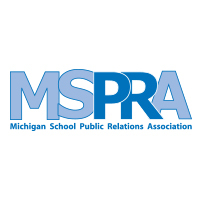 Whether your district is beginning the process or you're looking for tips and ideas to strengthen your district's identity, you'll want to attend the MSPRA Summer Drive-In! Join us on Monday, June 25, when award-winning presenter Michelle Ready, Ottawa Area ISD Director of Communications and Integrated Marketing, will share best practices in branding. Michelle will explain how her team redesigned the Ottawa Area ISD's brand, the steps taken to maintain that identity (and brand guidelines), as well as initiatives that are underway to strengthen the brand. Following Michelle’s session, there will be an Action Lab for attendees to work with other school PR professionals to create branding goals and objectives as part of your overall communication plan, brainstorm strategies to measure the success of your branding efforts, and create long-term communication goals aimed at strengthening your current branding practices. For full event details, please visit www.mspra.org.